The Disney Parks Blog has released a first look at the new NBA Experience at Walt Disney World Resort that’s set to open in Disney Springs, replacing the former DisneyQuest attraction. 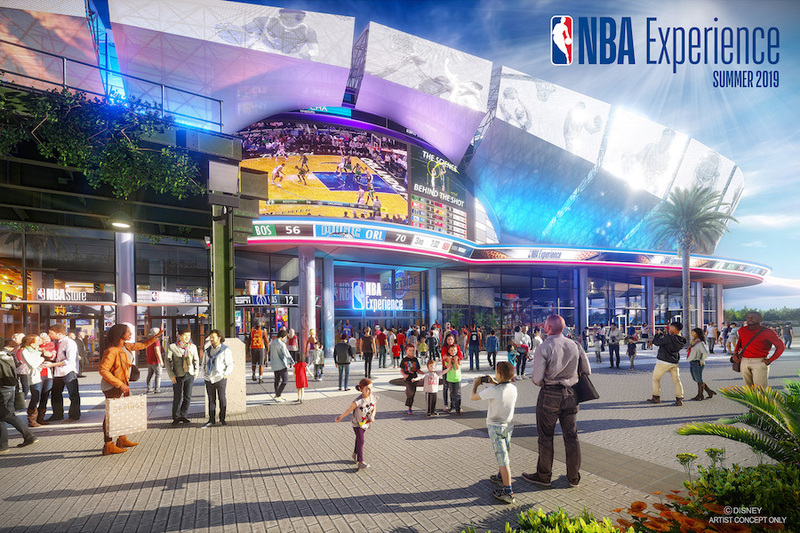 Inspired by the modern architecture of new NBA arenas around the country, the building design exudes the same spirit and energizing impact, while creating an unmistakable and entertaining connection to the NBA in a way that only Disney can. It’s one of several ways Disney Springs is still growing and adding new experiences to delight and entertain our Guests. The state-of-the-art space will include interactive games and competitions, immersive experiences, a retail store and an adjacent restaurant.